LED (Light Emitting Diode) Light Therapy is a gentle treatment that uses three clinically proven wavelengths (blue: 415 nm, red: 633 nm, and near infra-red: 830nm) of light to alter cellular function and assist tissue healing, reduce inflammation, promote skin rejuvenation and control bacteria when used to treat acne. This treatment can be performed on its own, or in conjunction with other skin treatments to increase effectiveness and recovery. 415 nm: Effective in the treatment and management of inflammatory and non-inflammatory lesions in mild to moderate acne. 633 nm & 830 nm: Utilised in the treatment of wounds, burns, pre- and post-surgery, and after laser treatments to hasten the healing process and reduce scarring. Both of these wavelengths provide anti-inflammatory and rejuvenating benefits. Yes! The Healite II panels contain over 1800 LED lights. Each individual LED is programmed to a set wavelength of light to be clinically proven to penetrate to the deepest layers of the skin. Healite II is TGA listed, and has conducted trials & clinical studies to back up their results. In addition to this each LED light incorporates Healite’s optical lens technology to focus & intensify the light delivery to ensure the best treatment results. The treatments are very comfortable. You will feel a warm energy coming from the Healite II LED panels above you, and it is very easy to relax under the light. How long are the treatments? Depending on the program most suitable for your skin, treatments can last anywhere from 13mins-34mins. You can choose to have Healite II LED Light Therapy as a standalone treatment, or as a complimentary treatment after another treatment such as a medi-facial or clinical peel. No. Your skin may feel slightly flushed and warm for 15-30mins after your treatment but you can go about your normally daily activities without worrying about downtime. 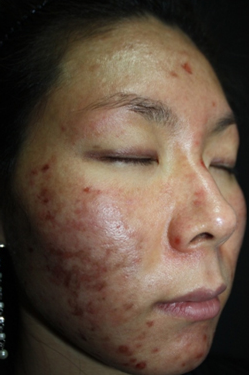 In fact, Healite II LED Light Therapy can greatly reduce the downtime of other treatments such as peels, laser/IPL, skin needling and radio frequency. How often can I have Healite II LED treatments? You can have treatments every 2-3 days. 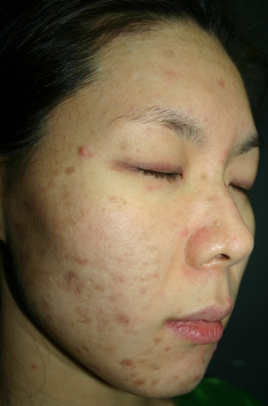 Results can be seen after just 1 treatment, and results will improve with each additional session thereafter. For best results we recommend having a course of 10 Healite II LED Light Therapy treatments, over the space of a few weeks. How does Healite II LED compare to other LED machines? There are many different types of LED machines that are used in skin clinics. Healite II was created by Dr Glen Calderhead, who is recognised as the pioneer in LED technology for skincare. Healite II utilises second generation technology including photo-sequencing & Optic Lens Array technologies. These additions mean the results we can help you achieve with your skin & Healite II are more significant than with any other LED machine. If you would like to schedule a consultation, please fill out the electronic form below. Copyright © 2018 Avenue Advanced Skin Care. All rights reserved. Website designed and developed by Splashbox. Where Does Your Skin Fit In? Your skin is unique. That’s why we treat each and every client using their own tailor-made treatment plan. Take our skin quiz to see which treatments are ideal for your skin type and concerns.